Welcome to all of our new and returning umpires to the 2019 SAYB Baseball Season! 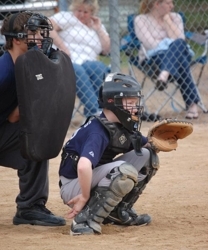 The 2019 Umpire registration/training will be held at the Shoreview Community Center on April 6, at noon for returning and at 2:00 for new umpires. There will be additional outdoor training sessions scheduled at a later date. Umpires 18 years and older will be required to complete an online course in youth sports concussions. See site link below. There is a brief test at the end of the course and a certificate is available upon completion. If over 18 year of age, please bring your certificate to the above mentioned training session.